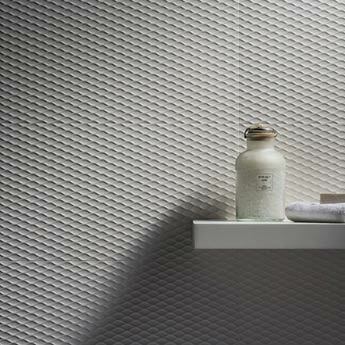 These white ceramic tiles have a weave pattern which provides walls with a decorative appearance. The semi-shine satin finish creates additional character and makes them an ideal choice for feature wall designs and backsplash decors. 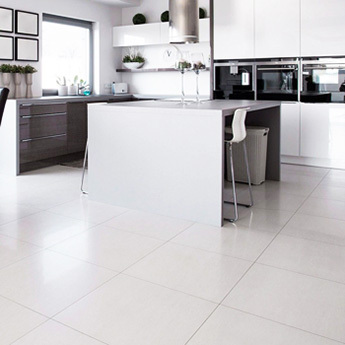 These rectangular - 600x300mm – large format tiles are great for producing a genuine design statement on walls. 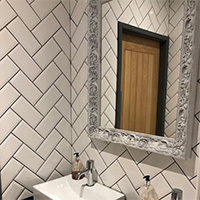 The reduction in grout lines from using large tiles opposed to smaller varieties ensures you get a minimalist finish which is ideal for expansive wall areas. 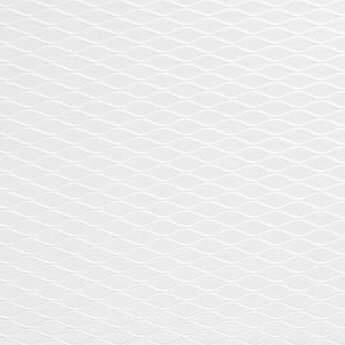 If you would like to see how these weave pattern tiles can transform your home interior then we highly recommend that you order a sample for a closer look. This will enable you to contrast them with specific colours and features.